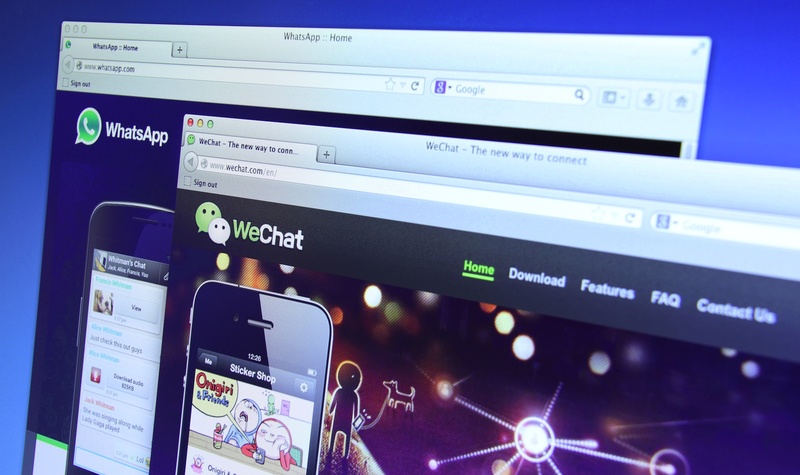 Messaging app WeChat (known as Weixin in China) hit the monetization switch last year and is already expected to rake in $1.1 billion in revenue this year. However, that seems to be limited to China for now, where Weixin has gone beyond engaging with brands to create ‘Official Accounts’ to form an m-commerce ecosystem which includes payments. The international market, on the other hand, has not progressed in this way — there are Official Accounts but no stirrings of an m-commerce ecosystem (think flash sales and payment mechanisms) on WeChat. Poshu Yeung, vice president of the international business group at Tencent, which owns WeChat, had previously told us that Official Accounts in the global market could evolve to include monetization opportunities in the future. However, it seems like the “future” is a long way off. When we caught up with him again recently, Yeung said that right now the company isn’t focusing on monetization because it has realized the international market isn’t ready yet. He tells us that this isn’t because WeChat is owned by Internet giant Tencent and has deep pockets to tap on, rather WeChat is aiming to grow its userbase first. No one is running a business and trying to lose money. We are just trying to follow the pace we believe it’s supposed to be. No company tries to make money too early also. If you look at Google, Facebook… they didn’t make money for the first 6-8 years. It’s not like we don’t want to make money but we just don’t think it’s the right time… There’s no point to rush into making money and defeating our original product principle. It’s clear that WeChat has realized it needs to lay a strong foundation in the international market before moving on — and this requires it to focus on users, not merchants. Otherwise we can have 100 shops open, but what does that mean? We don’t want to become a pure commerce platform, that’s not exactly what it is. We can do it, and that’s probably how a lot of the companies look at us today, but I think our ultimate goal is to try to create a very easy-to-use experience for mobile Internet users. He also explains that Asia simply doesn’t have an infrastructure ready for online payments yet anyway. Many people in Southeast Asia don’t even have bank cards, not to mention credit cards. “There’s no reason why we can’t do it outside of China, but on the other hand we also need to look at how mature the commerce business in different countries is,” Yeung says. To this extent, Yeung tells us that the company wants WeChat or Weixin to be viewed as more than just a commerce or even advertising platform. He says that the WeChat team has been educating merchants to show them how there are other use cases to help make it more convenient for users, particularly in terms of online-to-offline activities. This could include letting users take part in promotional campaigns on WeChat without having to download different apps, vote for an awards show, listen to music, and of course eventually commerce. We want to enable the entire O2O (online-to-offline) concept — how you can actually develop your mini app. Or like a mini mobile site inside WeChat. For example, how often do people go to a McDonald’s app? There’s not much there really. When you put up an app, you still need to advertise and ask people to download. In terms of the usage, in most cases it should be pretty low. 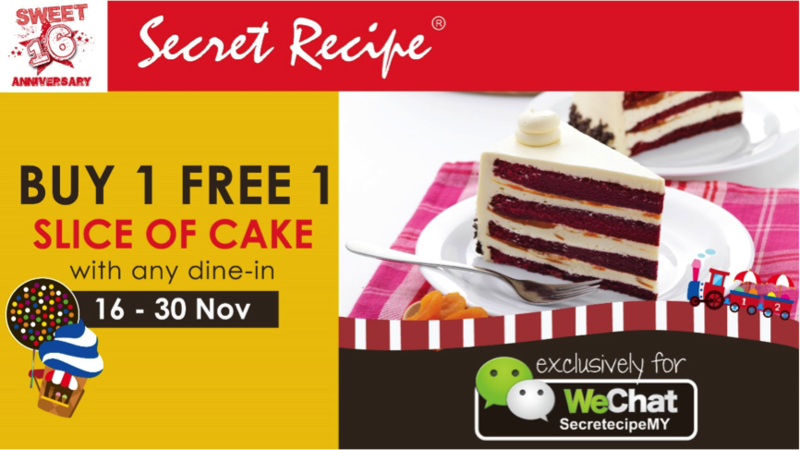 Maybe the merchant or the brand can re-consider what they can do and how they should be doing inside WeChat. With 450 million active users each month and 1 million new sign-ups per day, WhatsApp is indeed the world’s most popular messaging app, but WeChat is catching up. 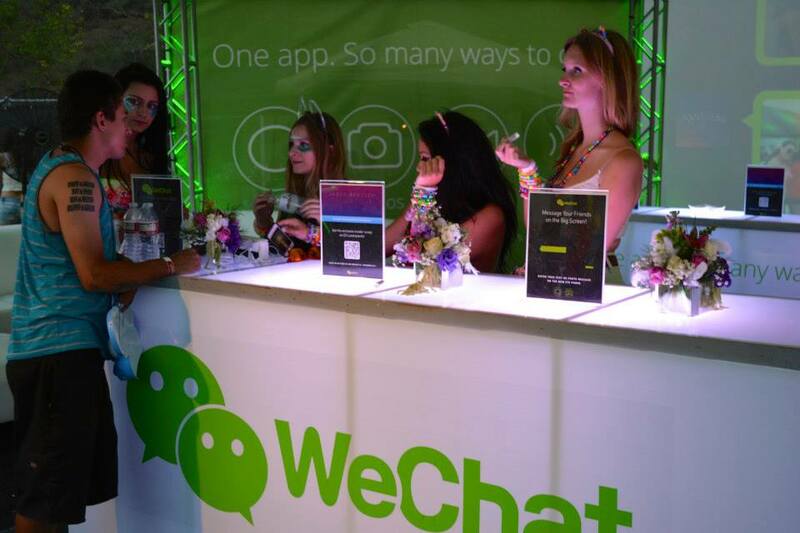 The combined monthly active users of WeChat and Weixin reached 355 million as of end 2013. However, WeChat still has to face off other rivals including Line and Kakao Talk, which have a similar content-heavy strategy to lure users. Line, in particular, is aggressively rolling out a ton of initiatives including several money-making games, flash sales, and voice calls. All we can say is that all the big guys understand how important this industry is, and everyone is trying to do what they can to improve their market share. It’s a very crowded space, and the bigger guys keep getting bigger and acquiring other companies and there’s this consolidation… It’s just very crowded now, but there is a reason why it’s crowded, because it’s very important. Alibaba’s move to have a share in Tango points to the fact that the US is where mobile messaging could possibly be the next big thing. If you look at even WhatsApp, the penetration in the US is not that high. And all these IM apps, they’re pretty fragmented too — you can easily name Tango, Viber, Kik. The usage and the number of users… it’s not a huge number. Penetration-wise it’s actually not that high, so we’re still trying to figure it out. It has to do with the culture also. If you look here (in Asia), all our phones are on the table. You don’t see that anywhere else outside of Asia. Whether WeChat can eventually monetize in the international market is still an unknown — but even if it eventually doesn’t carry out sales on its app across global markets, and focuses only on online-to-offline cooperation with merchants, it could already bring enough value for users to stick with it. What’s clear is that WeChat is no longer just a chat app — it’s increasingly like Facebook, even outside of China.